MANSON, Wash. – After “location,” perhaps the most important aspect of a successful business is name recognition. That’s something that Judy and Don Phelps didn’t have when they launched their winery on the north shore of Washington’s Lake Chelan and named it after their favorite wildflower. It wasn’t long before the couple realized they needed a different name. Some research led them to the local legend about a rowboat and a house of ill repute. And thus, Hard Row to Hoe was born. In this week’s Great Northwest Winecast, we chat with Judy Phelps about her winery, her wines and her new tasting room in the tourist town of Leavenworth. 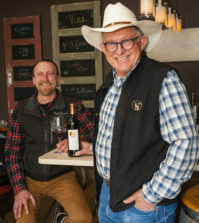 Judy and Don Phelps opened their tasting room in 2006 near the town of Manson, which is on the north shore of Lake Chelan in Washington’s North Cascades. They named it Balsamroot Winery after one of their favorite wildflowers. Because they farm organically, they thought the name would fit with their philosophy. 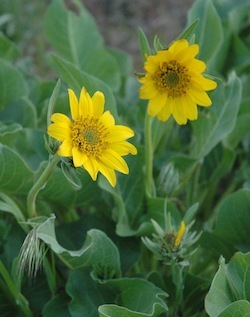 Plus, balsamroot is a lovely flower. Soon enough, they discovered this wasn’t going to work. That wouldn’t do, so the couple began to research the history of their region and came across a local legend that was too good to ignore. Back in the 1930s, the nation’s largest copper mine was operating about 40 miles up the 55-mile lake. The mine had 450 people working, and there weren’t any roads to get them around – and there wasn’t a lot of recreation around the mine. So an entrepreneur from Manson started a rowboat taxi service, taking the miners from the operation near the community of Lucerne to a brothel across the lake at Point Lovely. Winemaker Judy Phelps owns Hard Row to Hoe with her husband, Don. (Photo courtesy of Hard Row to Hoe). Judy, who does the winemaking, and Don, who handles the farming, approach their craft quite seriously. But there is no shortage of humor at Hard Row to Hoe, and they are taking full advantage of the name they gave their winery when they rebranded in 2008. 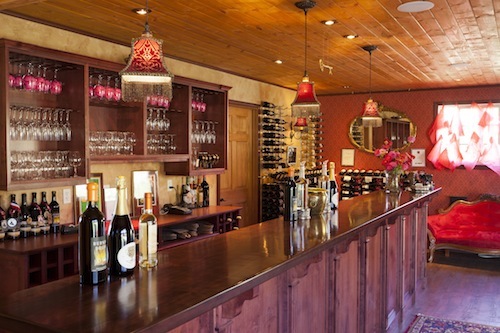 First is the tasting room. It’s a cozy space that is filled with little details such as photos of prostitutes from that era, keys that look as if they would have come from a brothel, a red light over the bathroom that lets patrons know whether it is occupied and wallpaper that looks perfectly normal until one gets up close and notices it was inspired by the Kama Sutra. There there are the names of some of Phelps’ wines, including: Seduction, Shameless Hussy, Afternoon Delight, Naughty Buoy, Good in Bed and Land Ho. The latter is a fortified dessert wine, and Phelps really wanted to call it “Port in a Storm,” but American wineries are not allowed to use European wine place names such as “Champagne” and “Port,” so Land Ho it became. Needless to say, few customers forget the Phelps’ winery anymore. While Lake Chelan has long been the summer playground for residents in the Seattle area, the region is a long haul – a “hard row,” if you will – for most residents to make. At more than three hours away from Seattle, it becomes a special destination rather than a weekend jaunt. 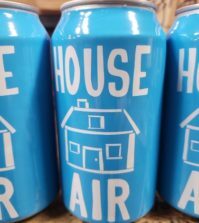 So Hard Row to Hoe has opened a tasting room in the Bavarian-style tourist town of Leavenworth. One of the winery’s longtime employees lives in Wenatchee and was interested in operating a satellite tasting room for Hard Row to Hoe. At the same time, a perfect location opened up on Front Street, so the new tasting room became a natural. Leavenworth is becoming a bit of a haven for tasting rooms, with about 10 open now, and it’s only a couple of hours’ drive from Seattle – a much easier haul than Manson. “A lot of our wine club members will find it much easier to visit us in Leavenworth than to come all the way to Chelan,” Phelps said. 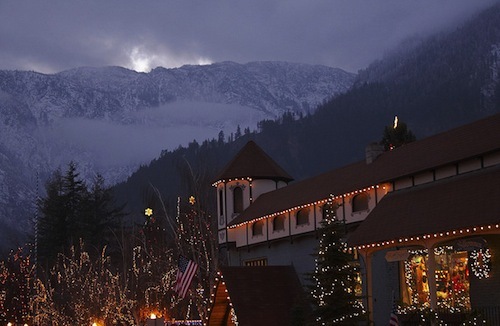 Leavenworth also does an amazing job of marketing itself, and it’s a rare weekend when the town doesn’t have lots of visitors. Adding wineries makes perfect sense, not that Lake Chelan doesn’t know how to handle tourism. 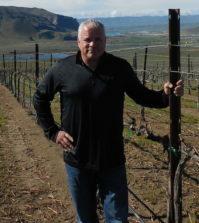 In fact, the wine industry is changing the face of the Lake Chelan community in many ways. In addition to another agricultural crop (in addition to apples and cherries), Lake Chelan’s tourism season is much longer than it once was. For years, Lake Chelan enjoyed an intense 10-week tourist season, from mid-June when school gets out to Labor Day weekend in early September. Thanks to the wine industry, a lot more visitors are coming to Lake Chelan during the spring, fall and even winter. Phelps has noticed that travelers are arriving from across the country to try Lake Chelan wines. “It’s really exciting to see that recognition,” she said. 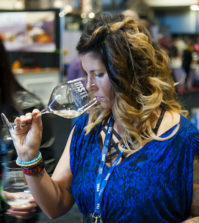 In fact, if you want to try some of the wines from Lake Chelan’s 20-plus wineries, you’ll probably need to visit because nearly all of the wineries sell every drop they make through their tasting rooms. So head to Lake Chelan. 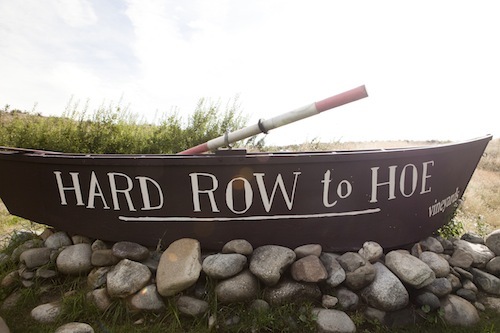 You won’t even need to take a rowboat.